Neuractiv Benefits | Does Neuractiv Increase Brain Power? Neuractiv is a drug developed by Novartis that is used mainly by elderly persons who are experiencing deterioration in certain functions of the brain, like memory loss due to aging. It is also used as treatment for the cognitive as well as the behavioral symptoms that are associated with aging like dementia. Oxiracetam is the active ingredient of Neuractiv. It was developed after years of research on reversing memory loss and the deterioration of mental abilities that come with the aging process. It is categorized as a nootropic drug, since it is able to improve one's cognition and memory abilities. It is widely used by people who are still unprepared with the various changes that come with the aging process, such as the loss of memory and the gradual degradation of other important functions like learning, recall and attention. 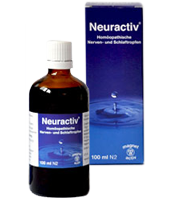 Neuractiv is also used by those suffering from dementia. As a nootropic drug, the active ingredient Oxiracetam in Neuractiv is known to help improve the various mental functions of its user. Those who have been taking the drug have been able to experience significant improvements in their memory, learning abilities and recall. The drug has also been able to improve the patient's level of alertness and concentration. These effects, although also found in using Piracetam, are more potent in Oxiracetam drugs. Neuractiv is generally safe for use; however, some people who take it may experience very minor side effects. For example, patients may experience insomnia, especially when the drug is taken at a late time of the day. It is also possible to experience stomachache, headache and nausea when taking the medication. However, these side effects would no longer take effect after just 2 days of stopping the dosage. It is recommended for the patients who experience these side effects to lower their dosage. The same thing should also go for those who take Neuractiv with other brain nutrition products. How Does Neuractiv Help Brain Function? The mechanism of action for drugs that belong to the racetam family is still unclear to experts. However, Neuractiv has been considered a nootropic drug as its active ingredient, Oxiracetam, is known to help enhance brain functions. Those taking the drug Neuractiv are able to see significant improvements in their learning and mental condition, concentration and attention, memory and recall as well as in their alertness. For the latest information on which mind power supplements perform better than Neuractiv, check out our brain power supplement reviews!